• Produce NO and capture it by reactive absorption involving its oxidation (e.g., with H2O2) or its reduction (e.g., with S032-). Test for the absence of NO in the gas exiting the selected scrubbing solution by showing the absence of the green color in a [Fe(II)EDTA] solution prepared as described above (step c). 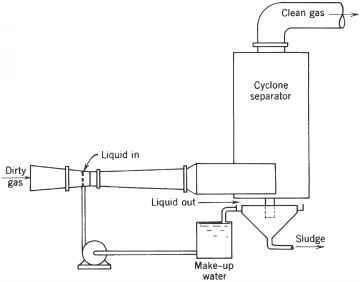 • Produce NO and capture it by absorption in an aqueous iron (II) sulfate solution. This forms a distinctively brownish nitroso iron (II) sulfate. • Roussin's black salt results from the action of NO upon an iron (II) sulfate/potassium thiosul-fate solution. To prepare this solution, dissolve 5 g of K2S2O3 in 5 mL of distilled water. Then, add 77 mg of FeS04 • 7H20 and bubble NO (prepared as described above) through it. After drying the precipitate that forms, blackish-brown crystals should be observable under a microscope. This is a tetrahedral complex. (Generally speaking, tetra-hedral complexes tend to have more intense absorption bands than the corresponding octahedral ones).